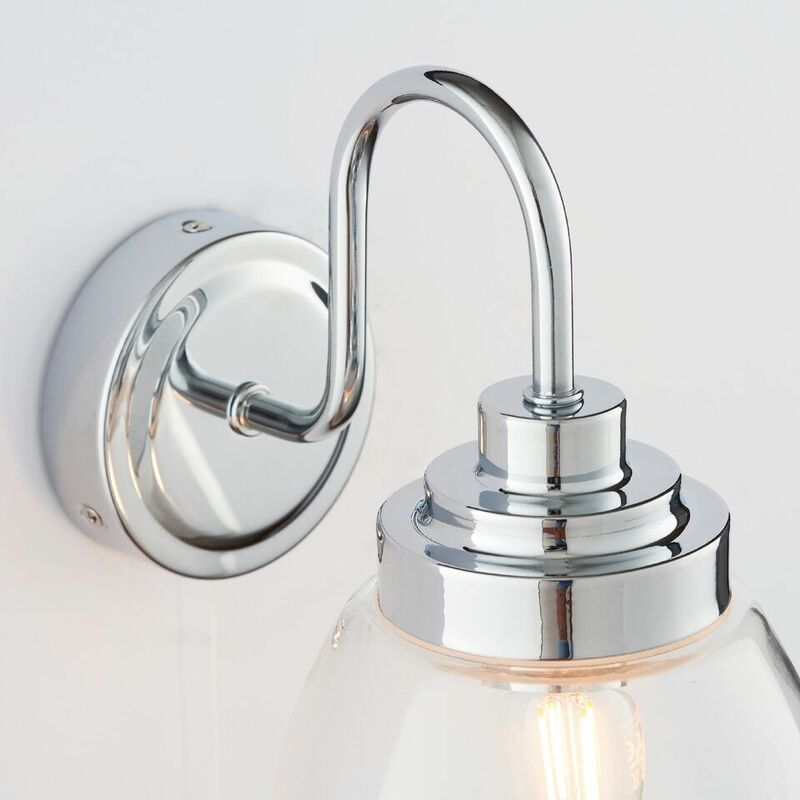 A timeless classic IP44 rated bathroom wall light. Finished in chrome with beautiful clear glass shade. 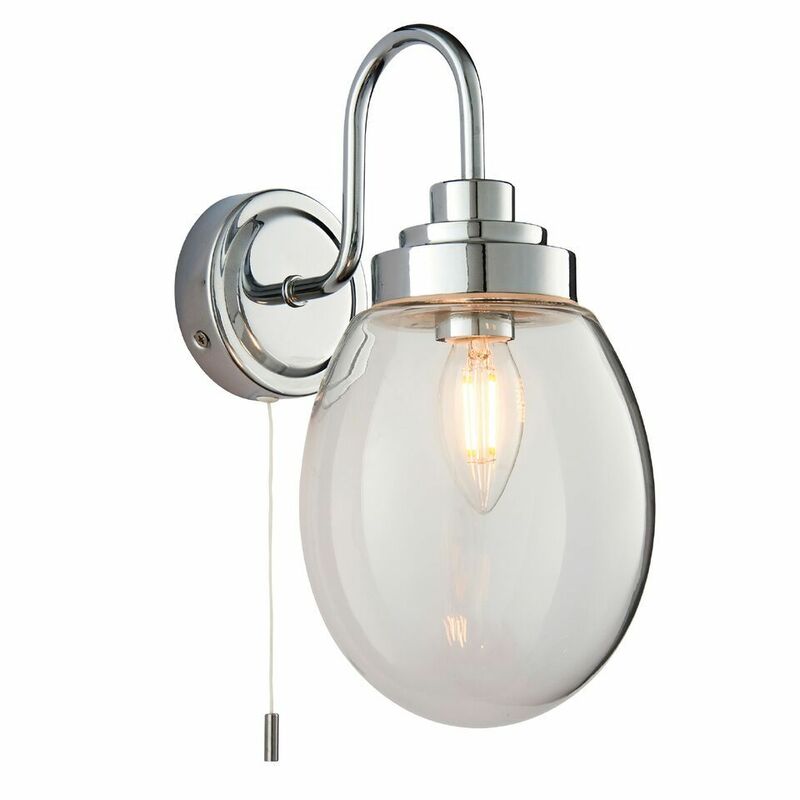 With easy access pull switch, perfect for use with filament LED lamps.